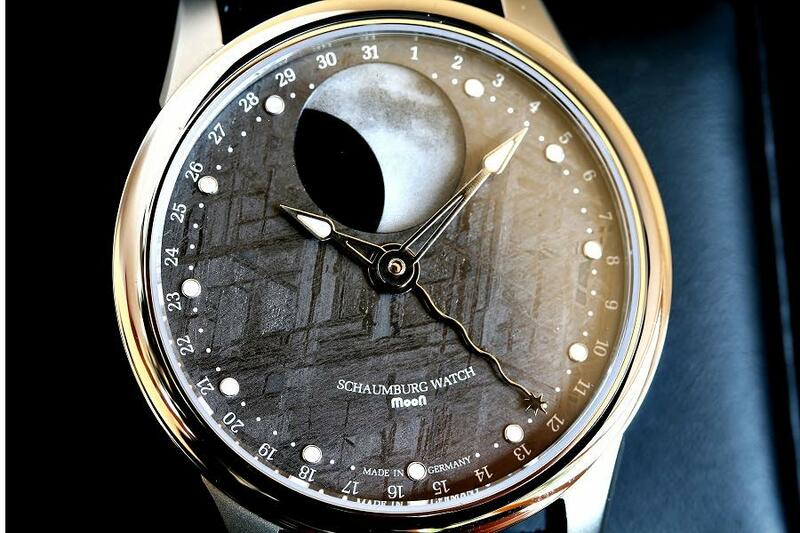 The "MooN" - as opposed to just plain ‘Moon’ Collection is a series of beautifully realised watches by German brand Schaumburg. 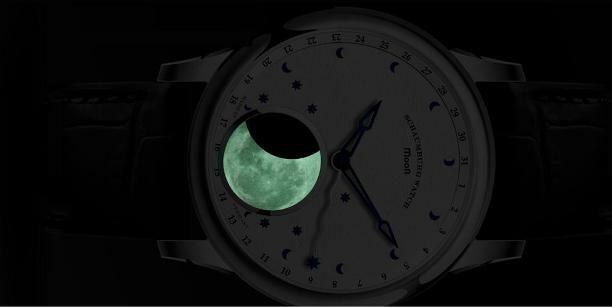 There are several watches exploring the moon theme. 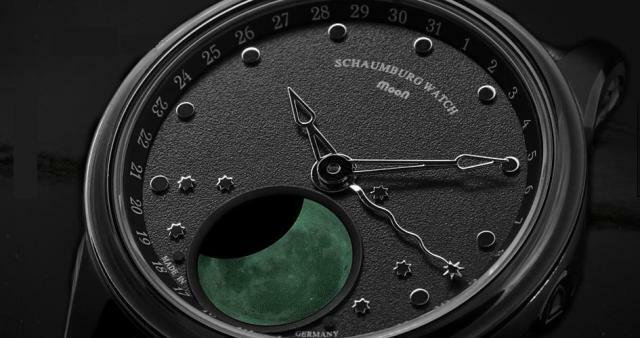 The movements used were supplied by noted German watchmaker Martin Braun and he even has watches remarkably similar to the Schaumburg MooN 2 in his collection. Schaumburg describes the watches as a mechanical high-tech moon-phase-watch of the superlative. The display is luminescent and depicts the moon cycle of the northern and southern hemisphere with a maximum divergence of only one day in 122.5 years. A simple lunar-phase-watch measures one moon cycle with 275 days. To keep the lunar-phase-watch precise a very complicated wheel work is required. 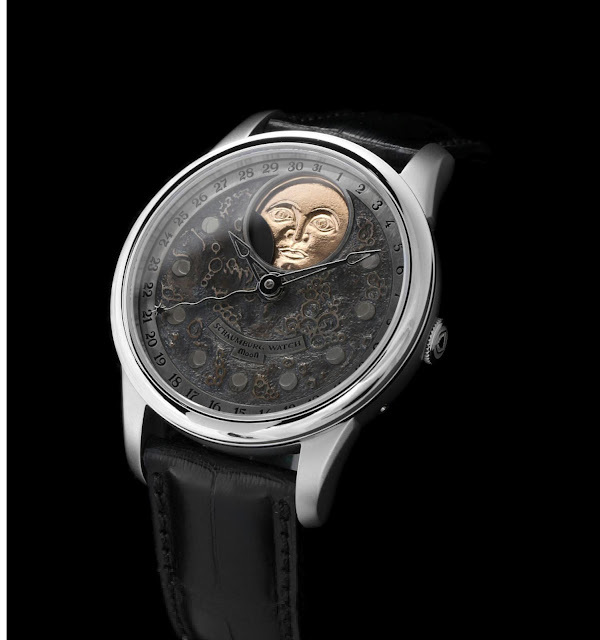 The MooN Landscape Hand Made features a 43mm stainless steel case with solid sterling silver hand engraved dial. Each individual serial number is hand engraved on the dial. The MooN Lanscape is accurate to one day every 122.5 years. The dials of the MooN Collection including MooN 1, MooN 2, MooN Landscape, MooN Galaxy Perpetual MooN and Meteor are available in four variations: Black, white, cloisonné enamel designed with the signs of the zodiac or even with a real meteorite dial whose material originates from a desert region in Gambia. The cases are 43 mm in size, conical at the bottom with well-formed lugs for 22mm straps. The band attachments are also screwed in, as is the massive case back. The watches were first displayed at Baselworld and created quite a stir, but feelings are a little mixed on the Watchuseek website with some finding the watch faces ugly. In fact one forum contributor felt that after a couple of beers the face on the MooN Landscape dial might start whispering evil commands! Prices and specifications are listed belo.